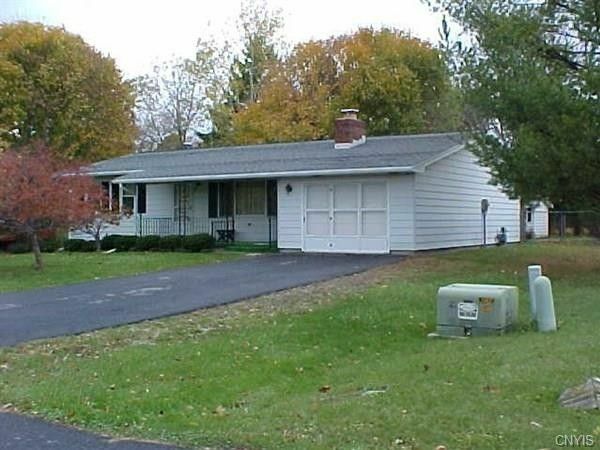 Well maintained 2 bedroom ranch has been in the same family since it was built in 1975. This home has 2 full baths, 1st floor laundry room, large eat-in kitchen with all appliances. The house has a large living room with wood burning fireplace, master bedroom with private bath, large spacious basement with a third bathroom already plumbed. Private back yard with a large screened in back porch, shed and partly fenced in back yard. This home is in the Herman Elementary School district and is in the town of Sennett. This home is a must see! Directions: Heading east on E Genesee St, turn right onto Wegman St. Turn left onto Horan Ave, the home is on the left.